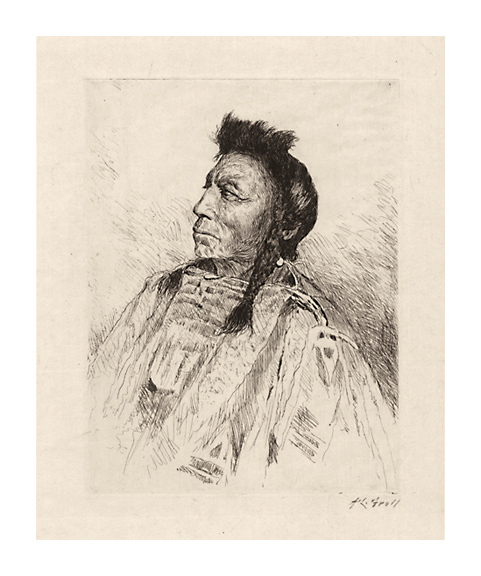 Toas Indian, New Mexico - - c.1910, Etching. Image size 7 15/16 x 5 15/16 inches (202 x 151 mm); sheet size 14 1/16 x 10 9/16 inches (357 x 268 mm). 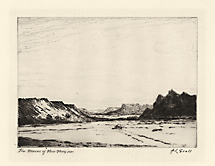 A fine impression, on cream laid paper, with full margins (2 to 3 5/8 inches), in excellent condition. 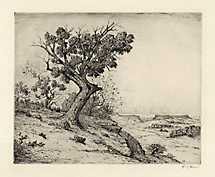 The Lone Cedar, New Mexico - - c.1910, Etching. 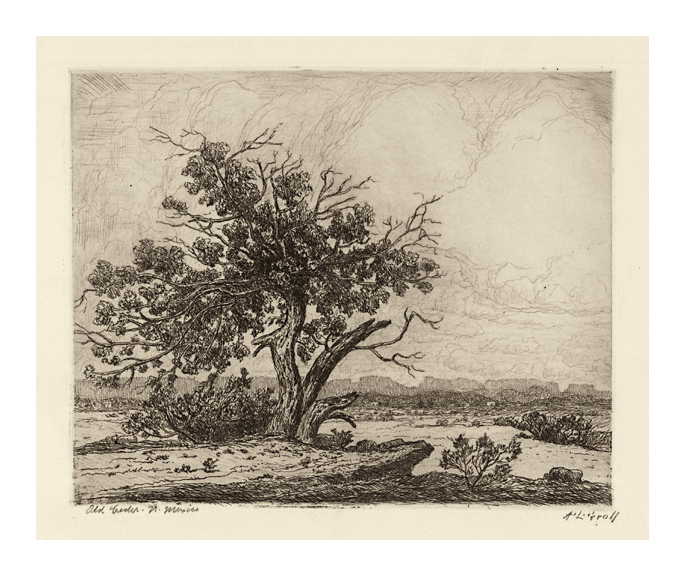 Image size 7 7/8 x 9 15/16 inches (200 x 252 mm); sheet size 10 13/16 x 10 inches (275 x 254 mm). 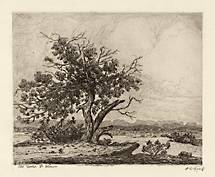 A fine impression, on cream wove paper, with full margins (1 3/8 to 2 inches), in excellent condition. 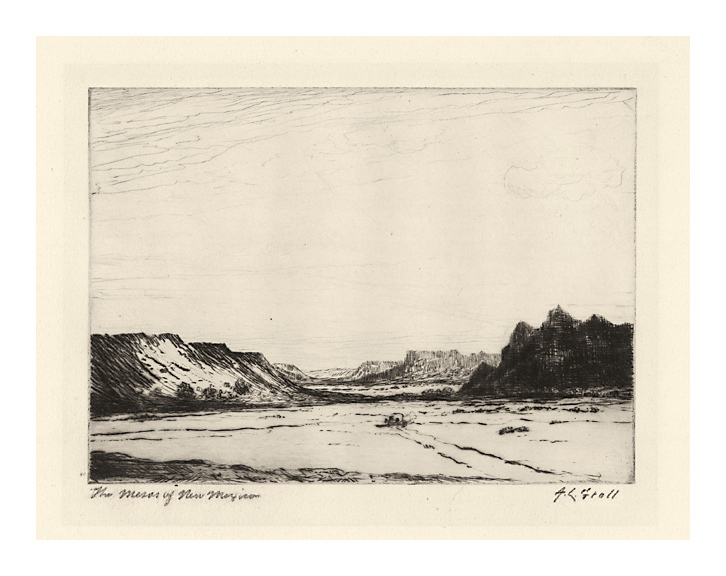 The Mesas of New Mexico - - c.1910, Etching. Image size 4 15/16 x 6 7/8 inches (125 x 175 mm); sheet size 8 1/16 x 10 1/16 inches (205 x 256 mm). 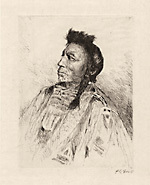 A fine impression, on cream wove paper, with full margins (1 3/8 x 1 3/4 inches), in excellent condition. 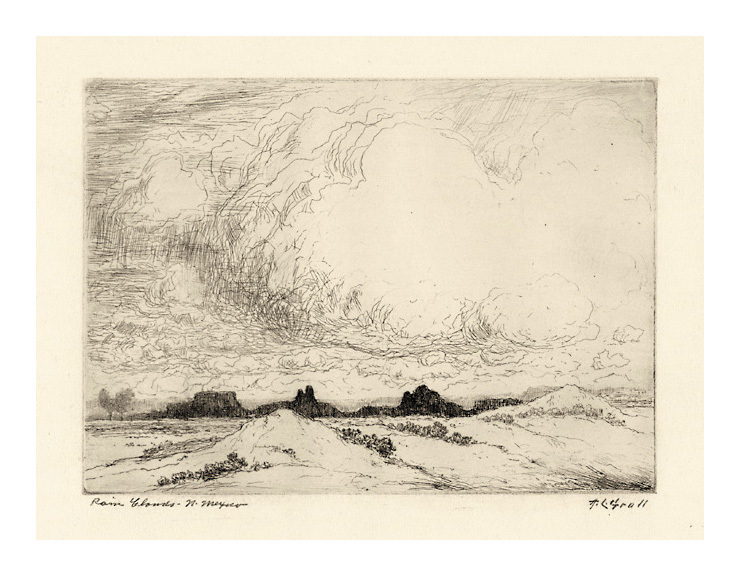 Rain Clouds, New Mexico - - c.1910, Etching. Image size 4 15/16 x 6 15/16 inches (125 x 176 mm); sheet size 8 3/16 x 12 5/8 inches (208 x 321 mm). 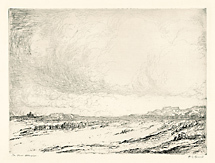 A fine impression, on cream wove paper, with full margins (1 1/4 to 3 inches), in excellent condition. 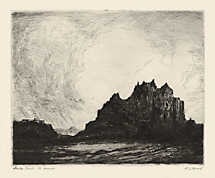 In New Mexico - - c.1910, Etching. Image size 7 15/16 x 10 15/16 inches (202 x 278 mm); sheet size 9 3/4 x 12 3/4 inches (248 x 324 mm). 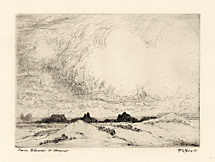 A fine impression, on cream wove paper, with full margins (7/8 of an inch), in excellent condition. 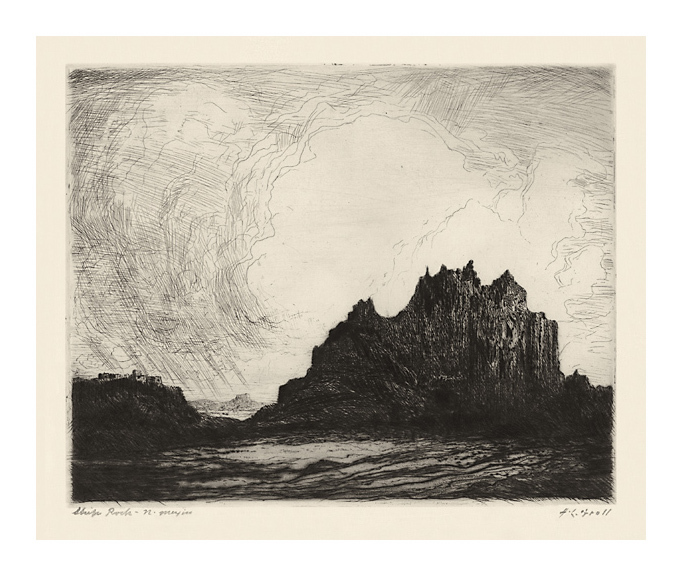 Ship Rock, New Mexico - - c.1910, Etching. Image size 7 7/8 x 10 inches (200 x 254 mm); sheet size 10 1/8 x 12 15/16 inches (257 x 329 mm). 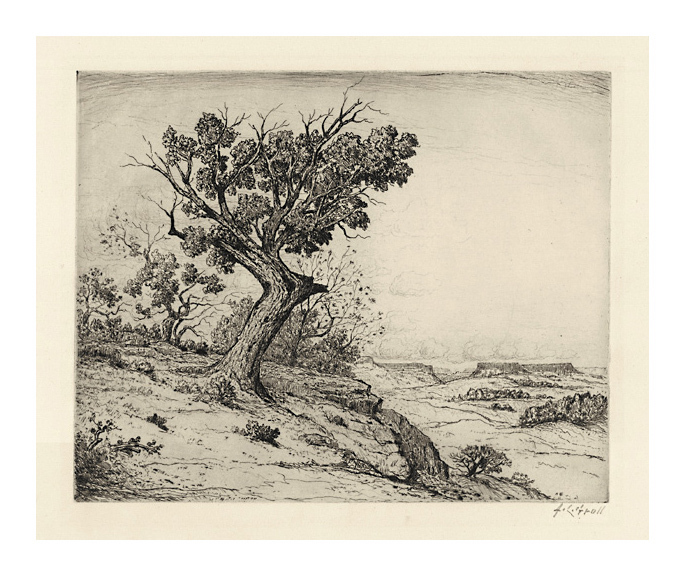 Old Cedar, New Mexico - - c.1910, Etching. 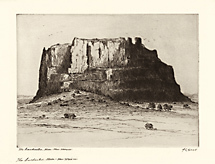 Image size 7 5/8 x 9 9/16 inches (194 x 243 mm); sheet size 10 3/4 x 13 11/16 inches (273 x 348 mm). 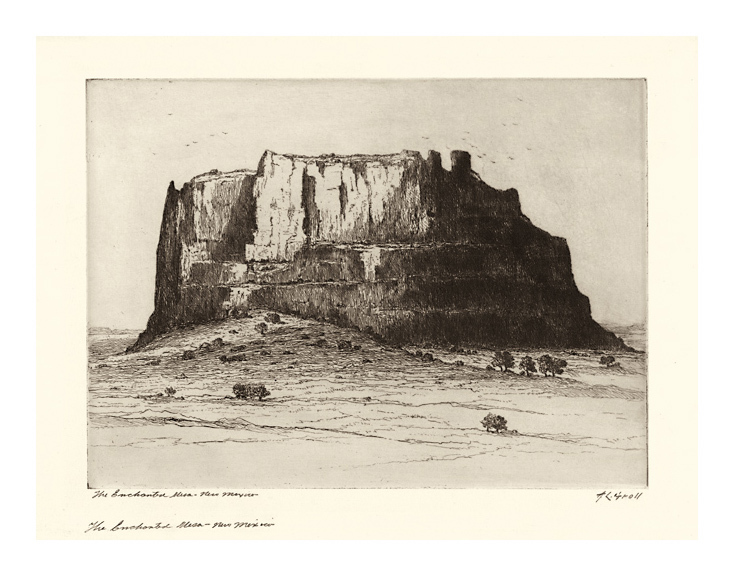 The Enchanted Mesa - - c.1910, Etching. Image size 7 7/8 x 11 inches (200 x 279 mm); sheet size 10 x 13 1/4 inches (254 x 337 mm). 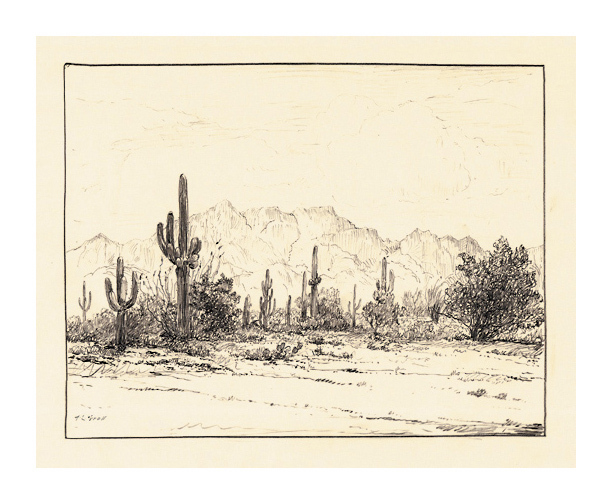 A fine impression, on cream wove paper, with full margins (7/8 to 1 1/8 inches), in excellent condition. 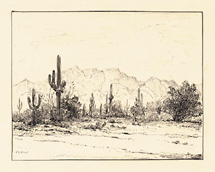 Apache Trail, Arizona - - c.1914, Pencil. Image size 7 5/8 x 9 15/16 inches (194 x 252 mm); sheet size 10 13/16 x 13 15/16 inches (275 x 354 mm). 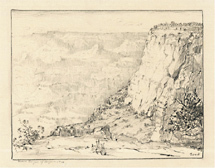 A fine spontaneous drawing, on cream wove paper, with full margins (1 1/4 to 1 7/8 inches); in excellent condition. 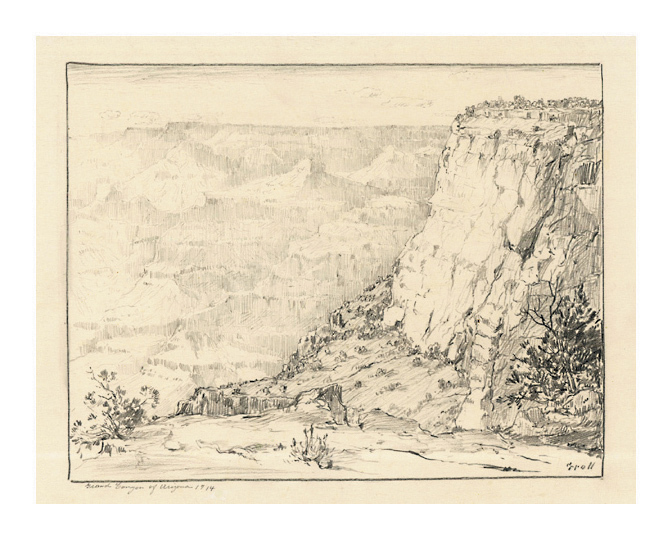 Grand Canyon of Arizona 1914 - - 1914, Pencil. Image size 7 5/8 x 9 7/8 inches (194 x 251 mm); sheet size 9 1/8 x 12 3/4 (232 x 324 mm). 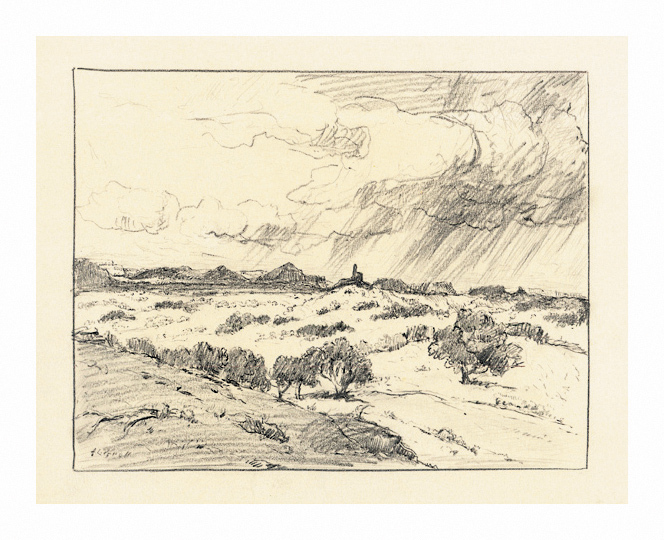 A fine spontaneous drawing, on cream wove paper, with full margins (1/2 to 1 1/2 inches); in excellent condition. 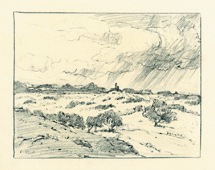 Storm Clouds (Arizona) - - c.1914, Pencil. Image size 7 5/8 x 10 inches (194 x 254 mm); sheet size 10 7/8 x 14 inches (276 x 356 mm). 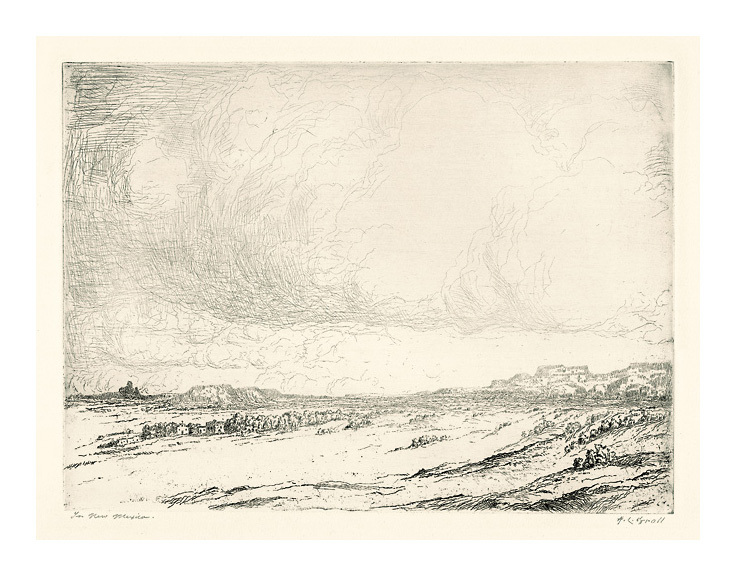 A fine spontaneous drawing, on cream wove paper, with full margins (1 5/8 to 2 1/2 inches); in excellent condition.